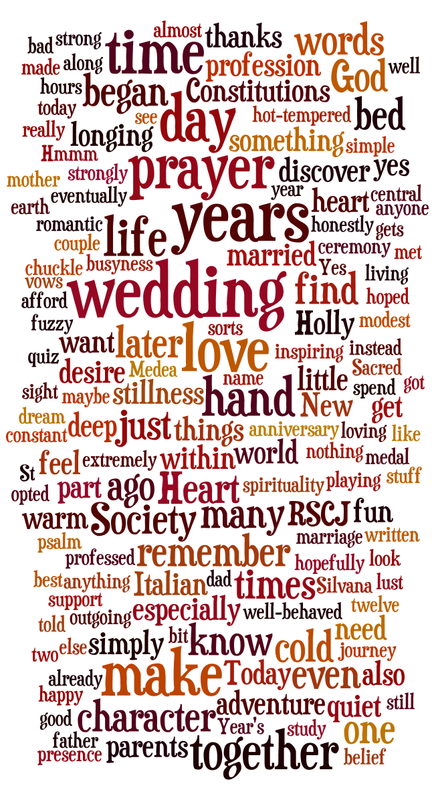 January was a mixed month: a heavy cold, a couple of anniversaries, some pondering and some fun with quizzes. It could have been even more mixed: I somehow managed not to write about the unremitting greyness, the even more unremitting floods or even some enjoyable events - like my birthday! simply make adventure.... and, emblazoned across the middle warm Society many RSCJ fun!